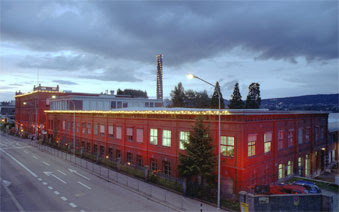 The Unerhört Festival of Zürich in Switzerland, founded in 2002, is a multi-location festival spread over ten sites in the city of Zürich. 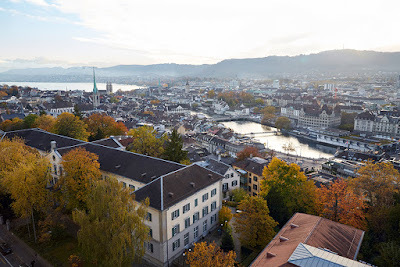 The nine days of its 15th edition with 27 concerts opened in the neighbouring community of Winterthur, to express solidarity with the Winterthur jazz concert series, which had recently lost its subsidy from the local authority. This report covers the concluding two days of the festival on Saturday, November 26, and Sunday, November 27. What’s in a name? ‘Unerhört’ literally it means not previously heard, but the word has migrated into other semantic fields. The word is used as an intensifier, positively and negatively, as an indicator of either indignation or surprise: incredibly, egregious, tremendous, enormous. But it can also mean embarrassing… or ‘not listened to’.... Unerhört is the long arm of renowned Intakt label from Zürich which has operated successfully for thirty-two years, not least due to an enduring, highly recommendable subscription system which gives its community of lovers of creative music a very tangible way to show their commitment to the label. Mala Mute, or the young drummer of Collin Vallon trio, Julian Sartorius has recorded a solo-album, Zatter on Intakt. The festival also presented a representative selection from various parts of the Swiss scene including also remarkable genre-defying vocalist newcomer Claire Huguenin, a newcomer who is mirthfully and vigorously playing her very own game – definitely worth checking out. The participating drummers might give and indication of the festival’s range: Joey Baron, Gerald Cleaver, Trygvason Eliassen, Michael Griener, Lorenz Haar, Steve Heather, lex Huber, Lucas Niggli, Tom Rainey, Julian Sartorius, Chad Taylor, Dieter Ulrich, Dan Weiss. Maybe the most surprising and delicate concert was the concert of composer/pianist Chris Wiesendanger with classical soprano voice Sonoe Kato, renowned jazz bassist Christian Weber and the Ensemble of New Music Zürich comprising Hans-Peter Frehner (flute), Manfred Spitaler (cl), Lorenz Haas (perc), Urs Bumbacher (vln), Nicola Romanò (vcl). The ensemble brought a fascinating frangible and transparent sound world into being inspired by a serious if season haikus and European poems a.o. Celan’s “Ricerar”. Wiesendanker and above all bassist Christian Weber interspersed the composed part of the pieces with ex tempore poetical particles and gestures that both illuminated the space and generated some material, visceral magic. Wiesendanger is an extraordinary voice and composer whose new album with the significant title Au clair soleil, je chante à pleine voix, recorded with bassist Ben Street and drummer Jeff Ballard, is due to be released. Besides the projection of the concerts there was lacking some deep visual that would have made it a definite treat. The night program at (defunct industrial site) Rote Fabrik in Wollishofen on the North western shore of Lake Zürich, presented four performances: the Aruan Ortiz Trio with bassist Brad Jones and drummer Chad Taylor, the piano duo of Gabriela Friedli and Claudia Ulla Binder, the sextet Mats-Up of young trumpeter Matthias Spillmann. The night concluded with the second ‘Seismogram Am Unerhört’ after midnight. After vocalist Claire Huguenin the night before the spotlight was on trumpeter Antoine Chessex. Brooklyn pianist Aruan Ortiz (1973), originally from Santiago de Cuba, has developed into a resistant distinctive voice recently documented by the outstanding trio album Hidden Voices with bassist Eric Revis and drummer Gerald Cleaver released by the Intakt label – an album scoring highly in prominent 2016 year-end lists. For its extended fall tour Ortiz replaced Revis and Cleaver with bassist Brad Jones and drummer Chad Taylor, bringing in their own characteristics and colour. Having seen the trio performing a few days before at Jazztopad Festival in Wroclaw it was interesting to experience it in the context of the Zürich festival. The trio came in calmly with a lengthier onset, Chad Taylor on thumb piano, Ortiz employing the piano on the inside, and Brad Jones playing arco. After carefully having laid down some breathing solid groundwork for more to bloom they swept around for a while in one of those characteristic truncated Latin rhythm patterns of Ortiz, the beginning of the ‘overwriting’ and intricate layering of their music. It resembles the effect of double exposure in photography: there is a vague contour against a clear contour both ‘connected‘ by a seemingly vibrating interspace. Mirroring, zooming in and out the trio created rotating spaces such that it appeared crooked than straight again. As a counterpoint to that highly movable play the trio came up with an amazingly calm, outstretched and fine-grained surface. Considering the differences between the two concerts and the main part and the encore in the second concert the performance of Ortiz’ trio was a manifestation of a strong generative and open approach allowing rich variations in dynamics, coloring, tempo and temperature. Doubling the same instruments can be a very fruitful, enriching thing. Does it also go up for the piano? Yes and no – depending on the approach, the framework (for instance pre-structured/composed or real-time creation) and the way to proceed (alternating and expanding, complementing or confronting each other etc.) and accomplish something communal. Three days before the duo of Gabriela Friedli and Claudia Ulla Binder there had been already another doubling, the piano-duo of Katharina Weber and Erika Rademacher, all four musicians accomplished improvisers as well as interpreters of composed contemporary music. Should female pianists have a stronger penchant for doubling/duo’s than their male colleagues? Or should it be a Swiss speciality? It seems rather coincidental! Friedli and Binder engaged in the exchange of a series well chosen strong improvisational gestures and configurations as known from heterogeneous duo’s. It was a commendable affair but it was lacking surprise moments due to a systematic application of special qualities of the instruments in combination. Mats-Up is a longstanding proven quintet lead by Matthias Spillmann (1975), one of the most distinguished Swiss trumpeters. Spillmann is an Art Farmer type of trumpeter with a clear, refined, and fully bearing sound. The performance proved that the group has gained a sonority richly exuding, floating and glowing the natural way in all kind of pieces. The group, comprising saxophonist Reto Suhner, pianist Marc Méan, bassist Raffaele Bossard and drummer Dominic Egli, all high calibre musicians of the Swiss scene, had a very own way of sculpturing sound in flowing lines and time with deep resonances of all kinds. By and then it happened so naturally and unobtrusively that you might take it for granted, might almost forget about the delicate continual process of attuning and accommodating. With great ingenuity the group draw its circles, moved in the round and went to outer regions, connecting both with each other rendering colourful music – with some Carla Bley reminiscences - cheering up the senses. Each edition of Unerhört programs a concert at the Bürgerasyl-Pfrundhaus, an old inner city retirement home. There are two other instances of this old communal church institution in Switzerland (Rapperswil, Winterthur) and one in Germany (Darmstadt). The building and its inhabitants is a great ambience. You surely have to be in time because it is always packed (no reservation possible) and the audience are in the habit of arriving early. This year they were expecting Swiss-Albanian vocalist Elena Duni accompanied by pianist Jean-Paul Brodbeck. Former editions presented a remarkable and challenging series of musicians: Oliver Lake/William Parker. Luciano Biondini, Gumpert-Sommer & Large Ensemble HS Luzern, Sylvie Courvoisier/Mark Feldman, Jürg Wickihalder/Ulrich Gumpert, George Gruntz/Erika Stucky, Aki Takase/Rudi Mahall. This extraordinary component is made possible due to a personal connection between Bürgerasyl-Pfrundhaus and the Intakt label. Rosmarie Meier is the president of Intakt Records Association and the director of Bürgerasyl-Pfrundhaus, a felicitous connection! This year Swiss-Albanian vocalist Elena Duni, who has two successful ECM-albums with her Swiss group (Colin Vallon/Patrice Moret/Norbert Pfammater) to her name, presented a Billie Holiday program. Such an enterprise is a double-edged sword. An element of risk is removed because of the brilliance of the source, but it is a challenge to come up with a truly original version, the challenge to give it your very own voice. To the delight of the audience Duni kept it very close to the phrasings and the tone of the original version supported by a quite sophisticated piano accompaniment of Jean-Paul Brodbeck. It was a delightful performance but the tingle factor was missing. The concluding night presented the trio of guitarist Jakob Bro (1978), bassist Thomas Morgan (1981) and master drummer Joey Baron (1955) as well as the Beyond trio of saxophonist Jürg Wickihalder (1973), renowned bassist Barry Guy (1947) and ubiquitous drummer Lucas Niggli (1968), also a driving force of the Intakt Records Association. It was quite a contrast between the two trios in their ways of sound making, their kind of moving energy, improvising exactness and their aesthetics. Bro’s trio gradually generated an inescapable increasing glow from within to eventually exude into floating, frothing streams…. ….While Wickihalder’s trio engendered heavy turbulences to impetuously dive into and surf the beating and bursting waves of sound jumping, cutting, running, turning and gliding. Both trios ended up lush and magnificently. Bro, Morgan and Baron brought forth a rollin’ railway song vibrating under the nightly sky, a far echo of Howlin Wolf’s “Smokestack Lightning” whereas Wickihalder, Guy and Niggli created a wonderful festive crooked calypso as a cheerful conclusion to the festival. Unerhört is strikingly stable in its balance of a solid steady core of musicians and its openness to including new things, new musicians, new approaches and even bringing on new people on their own staff, with projects at early stages such as collaborations with schools and the conservatory which should go firther. Maybe the lighting and components of visual arts can also be further developed to bring further appeal to the performances. For the time being Intakt maintains visionary without becoming illusionary.